Ryder Club in St Andrew's has a beer garden. The pub has an outside area, it shows live comedy. Ryder Club has a dart board. The pub has DJ's, it has karaoke. Ryder Club has live music events. The pub has a pool table, it holds quiz nights. Ryder Club shows football on TV. Cholmley Club in St Andrew's shows live comedy. The pub has a dart board, it has DJ's. Cholmley Club has karaoke. The pub has live music events, it has a pool table. Cholmley Club holds quiz nights. The pub shows football on TV, it has terrestrial TV. Eagle in St Andrew's shows football on TV. The pub has terrestrial TV. Merchant Navy Club in Hull has a dart board. The pub has DJ's, it has karaoke. Merchant Navy Club has live music events. The pub has a pool table, it holds quiz nights. Merchant Navy Club shows football on TV. The pub has terrestrial TV. Whittington & Cat in Hull shows football on TV. The pub has terrestrial TV. The Clarendon is a traditional family run pub. We serve great food & drinks @ Great Value Prices...the pub is in the East Riding of Yorkshire, not 'north humberside' which was abolished in 1996. G W Horners in Hull has a beer garden. The pub has an outside area, it has a dart board. G W Horners has a pool table. Admiral Of The Humber in Hull has a beer garden. The pub has a car park, it has disabled facilities. Admiral Of The Humber is a family friendly pub. The pub serves food, it has an outside area. Admiral Of The Humber serves real ale. The pub has a real fire, it has free WiFi. Admiral Of The Humber is a member of Cask Marque. 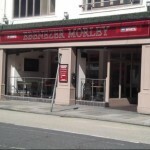 Ebenezer Morley in Hull shows live comedy. The pub has DJ's, it has karaoke. Ebenezer Morley has a pool table. The pub has a big screen, it has BT Sport. Ebenezer Morley shows football on TV. The pub has Sky Sports, it has terrestrial TV. 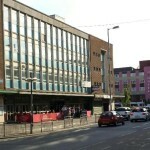 Star & Garter in Hull has an outside area.